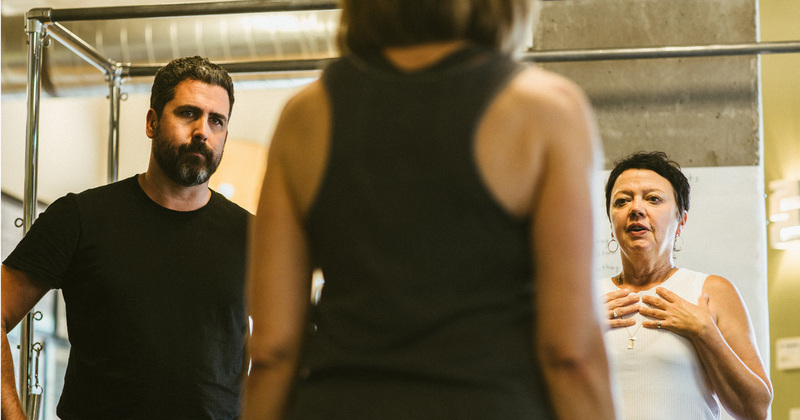 Movement Science Made Simple – A multi course comprehensive graduate education program for Pilates Instructors taught and developed by Cara Reeser and Jeremy Laverdure. A multi course comprehensive graduate education program for Pilates Instructors taught and developed by Cara Reeser and Jeremy Laverdure. Movement Science Made Simple is designed to teach Pilates instructors the essentials of movement science in a way that can be immediately applied to one’s practice and teaching. The curriculum joins current concepts in biomechanics, motor learning theory, and pain science with time-tested movement training strategies, giving workshop participants new skills to work with diverse client populations. Our evidence-based approach imparts the knowledge and confidence needed for Pilates instructors to collaborate effectively with other fitness and rehabilitation professionals.